This Homemade Sourdough bread is possible to come straight from your oven. It may take a couple days to work up but it is so worth it. It’s one of the Best Sourdough Crusty Bread recipes we have. 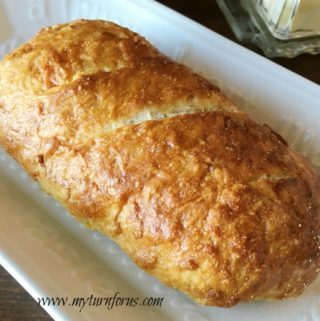 I discovered Crusty Sourdough bread in San Francisco years and years ago and I just loved the taste, texture and the toughness of those delicious loaves. 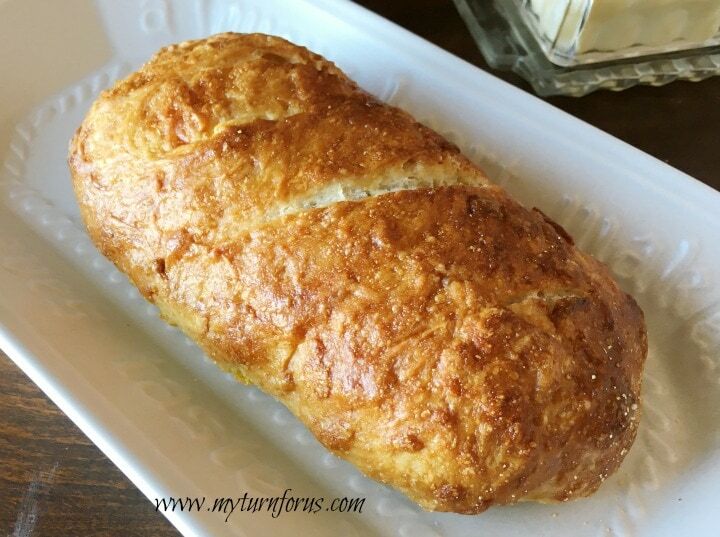 Sourdough bread is exactly that, a bread made from a “starter” that is allowed to mature over time. In the Cowboy culture (campfire dutch oven cooking) every cook has his/her sourdough “starter” which is usually flour, water and “time” with “time” being the most important factor. They nurture it and feed it until it ripens to their satisfaction. The hubby has had a container of his awesome starter in the fridge as long as I can remember. I just love it when he brings out his “starter” and his cast iron dutch ovens for a delicious meal in the “old” manner of cowboy chuck wagon style cooking. 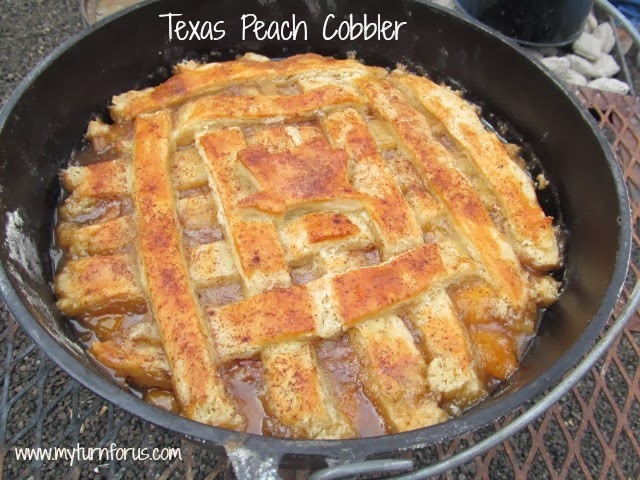 (Such as his Dutch Oven Texas Peach Cobbler) Over the years we have made Sourdough biscuits, pancakes, sourdough rolls, and loaves in this manner. While this Sourdough Crusty Bread recipe is not exactly like the great Sourdough bread of San Francisco nor does it taste exactly like the Cowboy Sourdough Bread of yesteryear, it is now my absolute go-to bread to satisfy those cravings for a sourdough crusty bread. It doesn’t take as long as Cowboy starter but you will need to get this starter going a couple of days before you wish to serve the bread. I must confess it did take several rounds (failed attempts) to get this recipe to mine and the hubby’s satisfaction but we are happy with this result. Mix flour, water, and yeast in a medium bowl until a dough forms. On a lightly floured board or mat, knead the dough until smooth about 2-3 minutes. Cover with a clear wrap and place in the fridge for at least 24 hours but best for 48 hours. In a large mixing bowl add flour, salt, sugar, and yeast and mix to combine well. On a floured board or mat, turn dough out and knead for 4-6 minutes until dough is smooth and elastic. Bake loafs for 18-20 minutes until the loaves are golden brown. That looks delicious. I've been meaning to make sourdough for a few months now. And I do love a good crust! You're right Linda, most starters are very liquid, my hubby's is but this was a quick starter and a more dense bread thus the doughy starter. 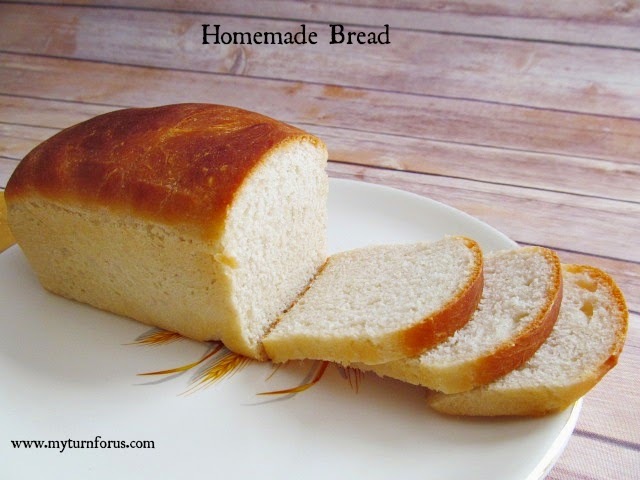 I love making homemade bread – but I have never made an actual sourdough! I need to try this soon! Uhhh I need to make this stat! Thanks for sharing.